Free Excel Gantt Charting and Project Planning GANTTDIVA is a free and easy Excel based Gantt chart and project management tool with full support for schedule logic, Timelines, Burndown charts, resource planning, cashflow, etc. 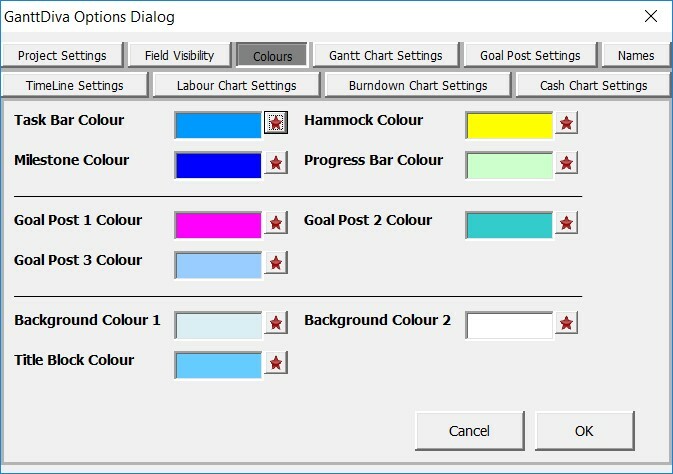 GanttDiva is very flexible and allows you to customize the colours of your Gantt chart as well as setting default colours the title area, background as well as default colours and patterns for all the shapes that are drawn by the program. 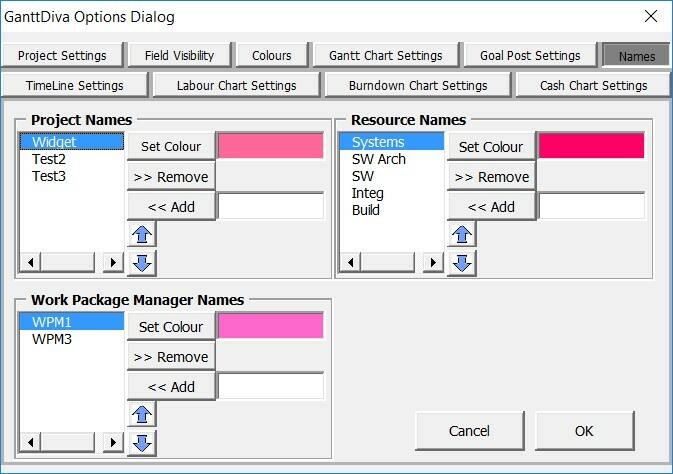 GanttDiva also allows you customize task colours based on the Project Name, Resource or Task owner assigned. 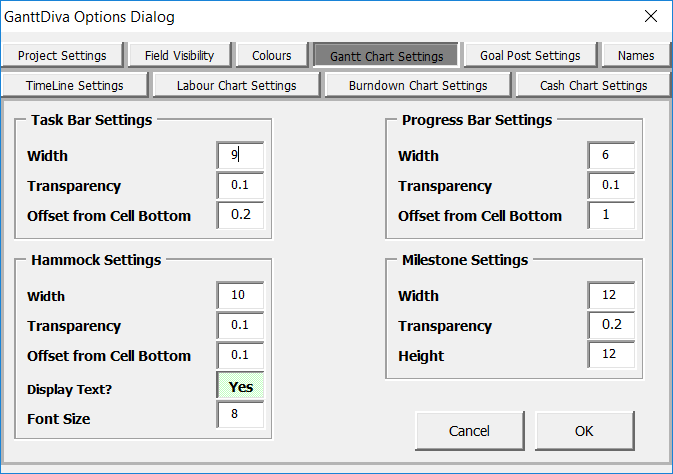 You can even change the size and transparency of the shapes drawn by on the Gantt Chart. This is because all tasks and milestones are drawn as shapes, rather than just as coloured in cells. This also means that tasks are always drawn correctly to match the duration and the Gantt Chart timescale. The result is a Gantt chart that is completely customized to meet your needs. GanttDiva works with all versions Excel starting from Excel 2007. Try a full featured, free version of this easy to use Project Management Software and as a bonus, check out the additional features of the premium version for 30 days. This version is available for 29$ and if you buy a license, future upgrades are free! Generate a professional, full featured Gantt Chart based project plan with minimal learning curve. I have been using GanttDiva to plan our test activities and find it very easy to use to capture a detailed work-plan for my team. I particularly like the labor demand calculation.